Premium quality 18 oz. ceramic oval mug. 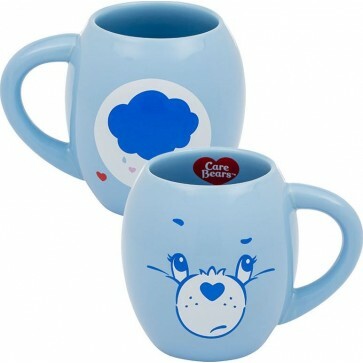 Grumpy Bear uses reverse psychology to bring joy, cheer, and dissipate the clouds in your coffee, tea, or oval-tine. The Care Bears Grumpy Bear 18 oz. ceramic Oval Mug is lovingly crafted from high end ceramic and is microwave & dishwasher friendly.